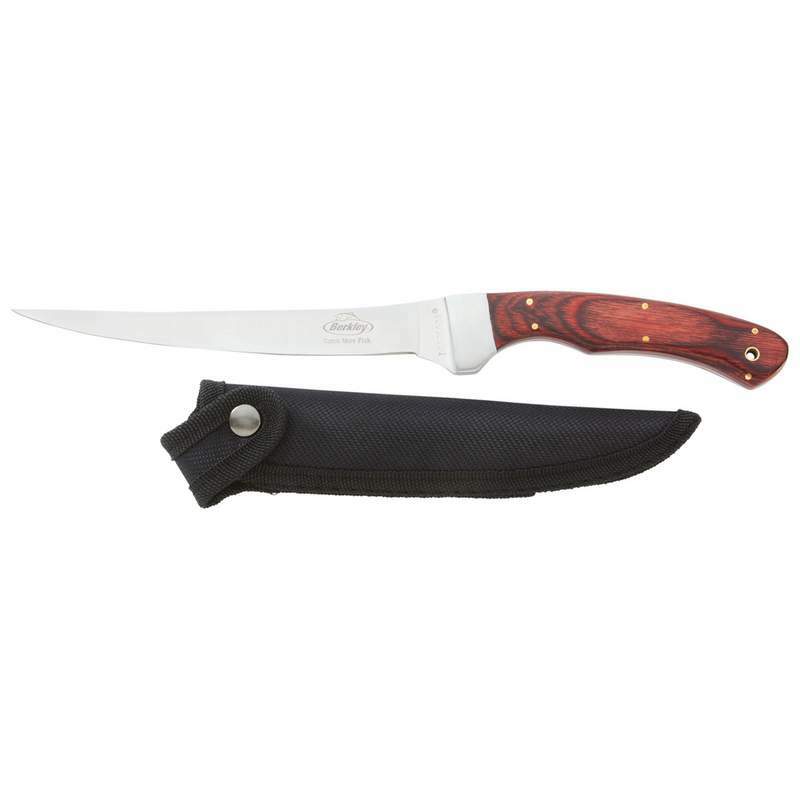 This Fillet Knife with Sheath features a laminated wood handle, stainless steel bolster, and nylon sheath with belt loop. Blade measures 6-1/2", knife measures 12-1/4" overall. Limited lifetime warranty. Clamshell.